From the platform of its most successful product ever, IMI introduces a new product to the Transporter® Family, the Transporter® MagVac- a combination of magnetic and vacuum technology. Like the Transporter® and Transporter® LP - magnetic tooling designed for lifting and holding ferrous steel in stamping, blanking, press-to-press transfer and related applications – the Transporter® MagVac is next-generation technology. The difference is the incorporation of vacuum technology, which makes the Transporter MagVac the most universal End-Of-Arm-Tooling available. With part-holding values higher than traditional vacuum- and more efficient and accurate than vacuum or grippers- the Transporter® MagVac is the solution that eliminates tool-changeover and costly downtime. 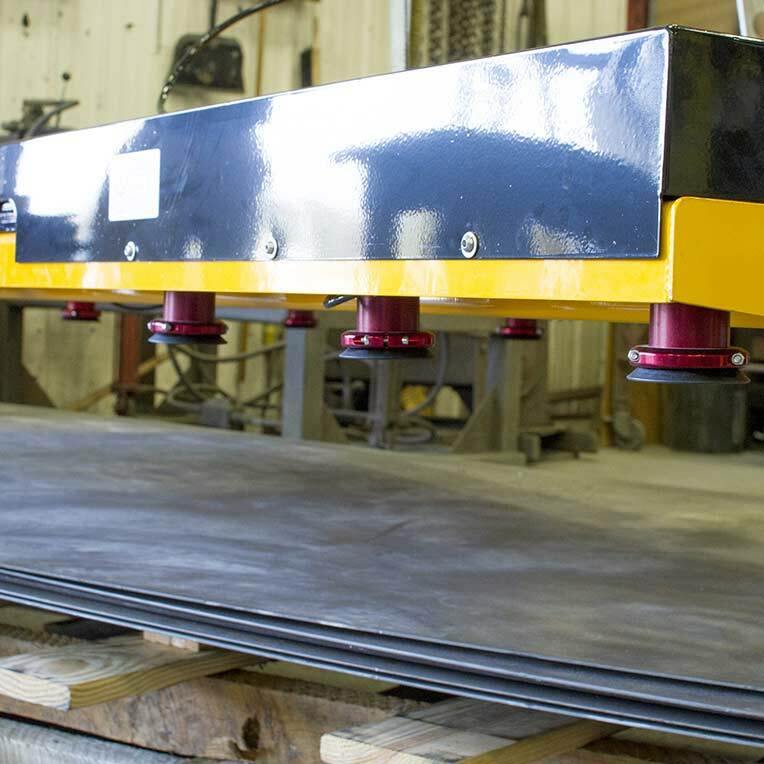 The Transporter® MagVac will lift and hold all shapes and types of steel- from brass and aluminum to ferrous and stainless, perforated, oily or painted. The integrated and patented magnet/vacuum design is million-cycle tested for endurance. When in use on ferrous steel, it incorporates a Fail-Safe feature so that in the event of air loss, parts will not release. For efficient, accurate and longer lasting End-Of-Arm-Tooling that provides a quick return on investment, choose the Transporter® MagVac. Please Note: The Vent (Part# TPMVVENT) is not necessary if other means of creating a vacuum are in use. 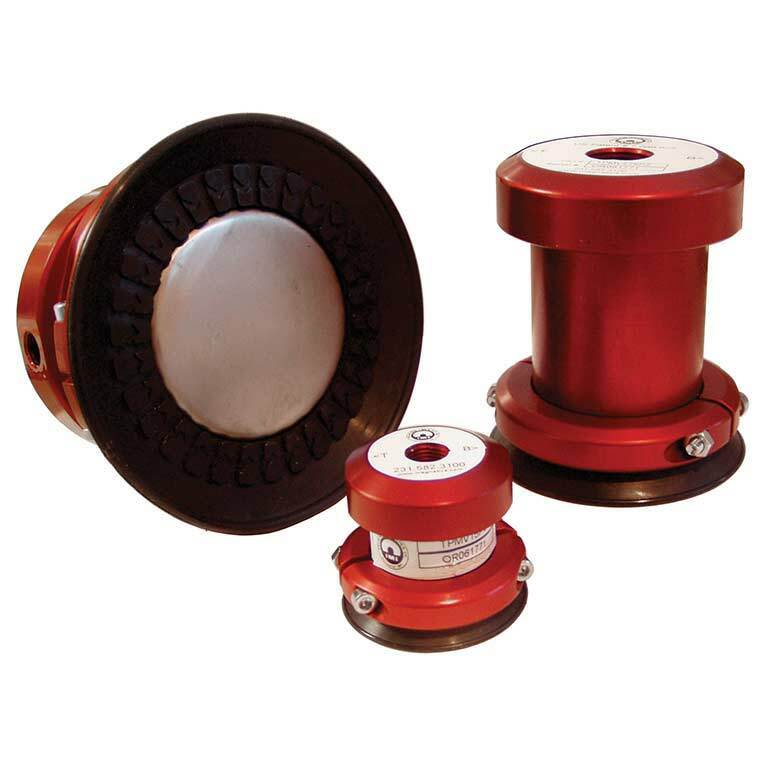 The Vent will operate the magnet and the vacuum cup simultaneously when lifting ferrous metal, providing extra lifting power. However, when using the magnet only, a Vent is not necessary. If lifting Non-Ferrous metals, the Vent is required.